Game of Thrones Season 8 Poster Unveiled! 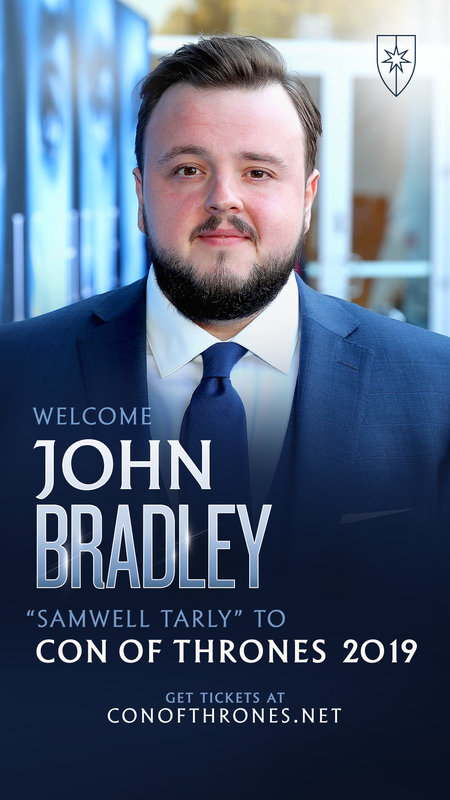 We’ve had the season eight character posters for almost a month now, but not the one true poster that represents the final season of Game of Thrones. And now it’s here! 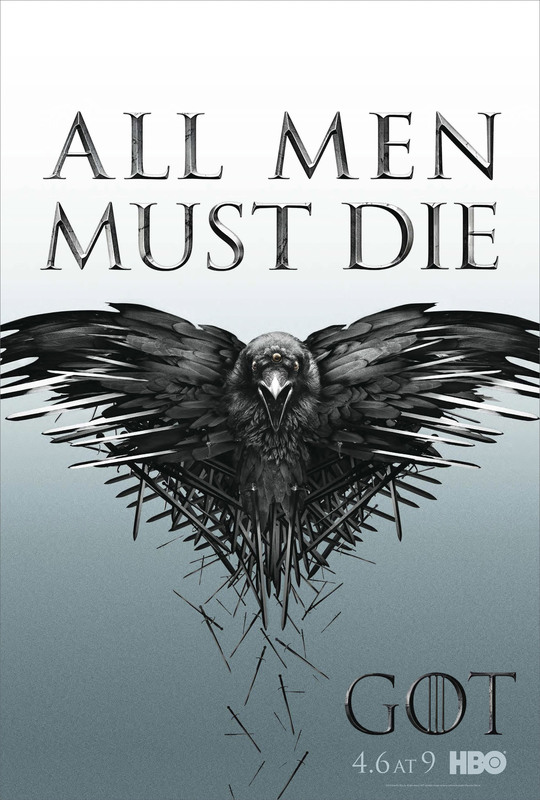 As you can see, very much like the “#ForTheThrones” marketing campaign, the poster goes for the titular “game of thrones” as its theme, despite the story having distinctly gone in the opposite direction of “if we don’t put away our enmities and band together we will die, and then it won’t matter whose skeleton sits on the Iron Throne,” as the great Davos Seaworth so perfectly put it last season. 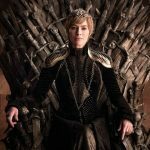 Nevertheless, it makes thematic sense overall, as this is the last season of a show titled “Game of Thrones.” Also, considering the first season’s similarly throne-themed marketing, it makes the show come full circle—except now with an added Drogon peering at us from below. Yoy may wish to revisit the posters for seasons one, two, three, four, five, six, and seven, for the sake of comparison. Which is your favorite, or least favorite? Do you have a ranking? Personally, I’m partial for the first two seasons’ posters, as well as the ones from seasons seven and eight, while seasons three and four were definitely the nadir. Best poster GoT ever had! Drogon doesn’t get the throne.. he becomes the throne! For a moment I thought Jaime was the poster. 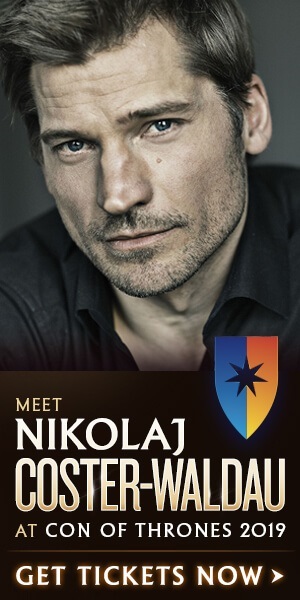 But I do like the actual poster under Jaime’s picture. Wonder if there’s a meaning in this poster. Something about season 8.
hmm, not the most interesting of images frankly. Maybe if it was showing more of the dragon…I don’t know. Meh. Kinda cool, but not very exciting or interesting. Honestly I kind of feel like they should have reversed the order for this poster and the Season 7 poster. Last season was all about the battle for the Iron Throne, and Drogon played a huge role in the major battle episode, so a poster of the Throne fused with Drogon would have made sense. The creepy Night King poster with a pitch black background would have made sense for this season, seeing as how the WW are coming and it’s this year that we’ll see the Long Night and fight for the dawn. Holy cow, this is officially the best poster they’ve done. They finally topped the posters from seasons 1 and 2!!!! That’s actually pretty cool especially the association between the swords that created the Iron Throne in the first place and dragonfire. Also, this entire #ForTheThrone campaign, and now this poster is only further reinforcing my belief that there actually will be no throne by the end of the series. Hmm, I’ve never really thought the posters were a big enough deal to me to rate them… I guess I like the S5 poster with Tyrion & Drogon the best. is there a thread showing all the posters? Nice! I do like the NK poster from last season the best. Its been my smartphone home screen since it was released. Ominous. Very ominous. Drogon looks like a big Menace. And it’s fitting since he’s a living nuke. Well, I would call this poster intrigueing: brings associations with Thomas Hobbes and “Leviathan”. I guess the Iron Throne will survive, and Westeros will end with some enlightened absolutism rather than parliamentarism, which would make sense, cause that was the path most of medieval monarchies took after feudes. However, that would be a challenge to our democratic values and the bitter part of the bittersweet. Yes. I like the Tyrion and Drogon one the best, too. I’m glad to see the dragon doesn’t have icy blue eyes. Coming back to appropriate/adapt a quote for GoT purposes: The dragon maketh and the dragon taketh away. Anyways, that’s what I feel this poster implying. the Season 4 poster was the nadir when first released, but when they gave it a black background for the DVD it looked great IMO. I wonder when we’ll find out the episode titles. Apart from trailers, they’re always the big hype reveals for me. I like the concept of Season Eight’s poster but think its execution misses the mark. The imbalance between the throne’s back and the dragon’s face defeates the impressive effect they seemed to aim for. Initially, I had to search a moment to find the dragon’s face mentioned in this post. Season One and Season Four are my favorites. Hopefully soon! Meanwhile, you can speculate about what the titles may be here! Yup, thanks! I submitted mine already. SO HYPE. I’m still not expecting them to give us the titles until the week of each episode. I think they “enjoyed” withholding them for the second half of S7 (until five days before for the finale) and do that again. I would’ve preferred Jaime’s mid-battle picture as the poster. 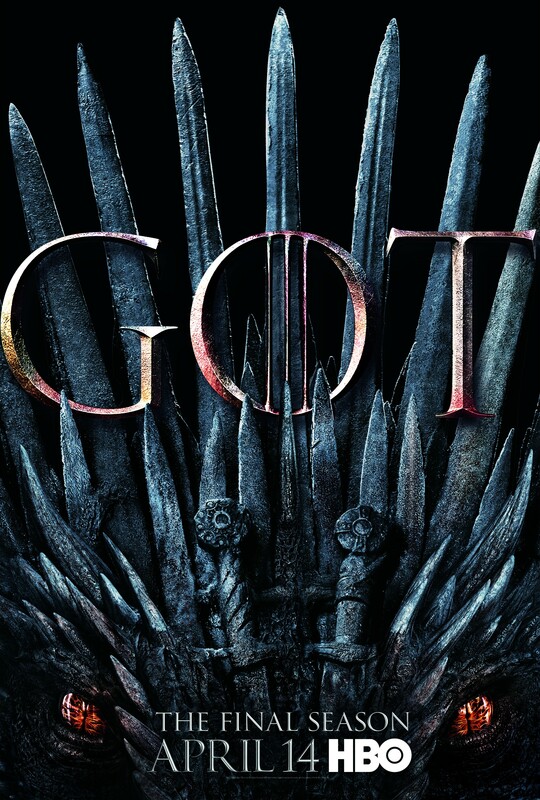 At least they didn’t put Night King’s face on the final season poster. My boy NK is not a publicity whore. Love how gritty it is. It kind of portends the breaking of the wheel. As a graphic designer, I think they hit the proportions just right b/c at first you don’t even see Drogon and you assume it’s the throne, and then suddenly it’s all Drogon. Great illusion. 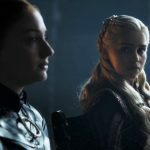 Clob: I’m still not expecting them to give us the titles until the week of each episode.I think they “enjoyed” withholding them for the second half of S7 (until five days before for the finale) and do that again. Yeah I don’t think we’ll know them until the week of airing. I do think we’ll know the premiere title by April 3rd though because that’s the red carpet. Well, at least we have six “Beautiful Death” posters to look forward to. If the body count is high maybe HBO will commission the artist to do more than one per episode, considering it’s the final season and there are bound to be big name characters checking out. Sure! It’s a poster, alright. I mean, it’s fine. This is fine. Drogon has a hat. Well we got production stills, character posters, trailer and now season poster. It’s all here. Red Carpet is in 12 days. Can’t believe after 19 months (Since August 2017) we have a new season right around the corner. Do you think we’ll get another trailer on the 28th, as per Reddit? It’d be a good way to punctuate the red carpet premiere. Anon: Do you think we’ll get another trailer on the 28th, as per Reddit? It’d be a good way to punctuate the red carpet premiere. I do think we’ll get something. The person was right about some of the other marketing promos. Maybe another short trailer with a few new scenes mixed with some footage from the first trailer. Unrelated, but have you guys seen this? I had no idea! Emilia is incredible. I am not a designer…but I appreciate this comment, explains to me why I like the poster so much. I am looking at the empty throne and then my focus locks on and I see the dragon. 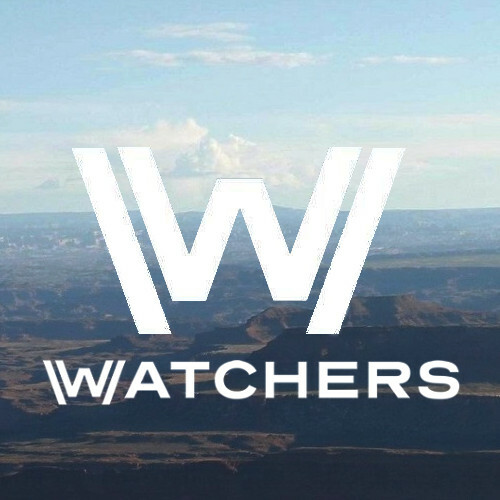 Their marketing, design and art direction is on point. No prisoners taken for S8. I almost forgot about the Beautiful death posters, another thing I’m going to miss about this show. Drogon + The Iron Throne = The Dragonbone Chair. At first glance when my browser loaded I was looking at the throne. Then I sat there and said man, this chair looks different and scrolled down to the BA glowing eyes. Well done HBO, I see what ya did there. Drogon’s eyes look a lot like Sauron eyes. It’s also interesting the focus on the two swords and their hits. Thank you, Luka. And the image is finally large enough to fully take in. I find this thematically and graphically the most interesting poster. 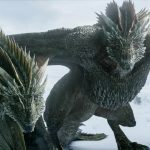 It encompasses the two wars: Dragon vs dragaon in the War for the Dawn, and the Iron throne, which of course is the Game of Thrones. 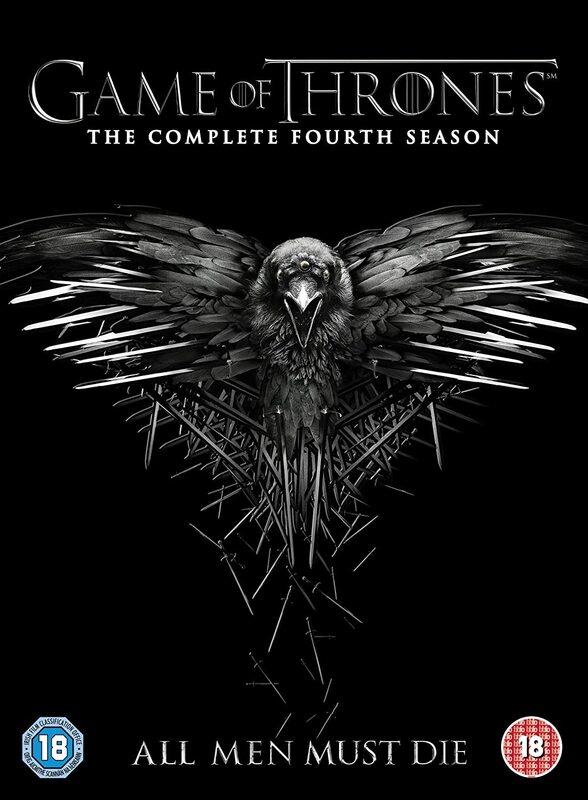 It’s also a triple image–the IT, Drogon’s head, and a subtle allusion to the feathers of the Three-Eyed Raven. Very very clever. I´m gonna say it no matter how tinfoil it is. Those swords are Blackfire and Dark Sister. This was shocking and extremely scary to read. She was only 24 when the first one hit. Makes me feel for her. Yes I know these actors are rich and super successful but the pressure (from within and without) to present a certain image to the world really comes across in her piece. I wonder if any of the other actors knew what had happened to her in the off season. Her work ethic is admirable and I’m glad she told her story and is focused on helping others with brain trauma. Funny thing is I thought “direwolf” before thinking “dragon” when seeing the poster. I just woke up from a nap, though, could be why. Well, I’m seeing this as the throne was given to the Targaryeans through the power of the dragon. Now, the same shall restore the throne. Okay, I’m a goofball… Not a tin foil hat wearer, honest. But on close inspection of the swords, it looks like a wolf head below the hilt on one of the swords? Just me? Okay; I’m cool with that. Isn’t it scary? Life is so bizarre…it’s not the same, but I had a massive pulmonary embolism in my 20s (both lungs and the vessels around and through my heart), and my chances of surviving it was 5%. Fortunately by the time I found out my chances, I already was part of the 5%. Ha! And very fortunately it didn’t travel the other way to my brain. But the human body is so darn fragile in as many ways as it’s incredible, and I can’t imagine working and traveling like she did, while wondering if and when the other shoe could drop. Her description of not being able to say her name almost made me cry. Just as her description of her audition made me laugh. I’m really glad she made this public. I love it! Looks really cool! As to which one is my favourite? For me nothing really beats Ned Stark sitting on the Iron Throne. That one is just iconic. This is a total shocker!! I wonder if Emilia waited til after season 8 was finished to tell her story, because she was afraid she could have a setback at any time. It sounds like they were able to fix her second issue, but it’s possible she may never feel totally OK and always have some fear. BTW, I really enjoyed her performance in “Me Before You”. She’s one of those actresses that looks really different depending on her hair color and her role. Very scary indeed. She’s tough and on some level her real life experience probably informed her performance as Dany, a character who just keeps going despite obstacles. And BTW glad you were in that 5%! That is going to look nice on Blu-Ray cover. Hope it’s very nice slipcover. Seems to me we’ve never seen Drogon’s eyes look this intensely red before. Usually they’re more of a maroonish brown. Got to wonder if this is meant to imply that Red God magic will be a factor in the final aerial battle. Melisandre had better come back from Volantis with some sort of aid – enough to justify keeping her character alive to this point! All this #forthethrone hype and imagery makes me more and more convinced that we’re being trolled. The IT really should cease to exist at the end of the story. Ok WOW! Didn’t think it was possible to admire her even more. Thanks for sharing! I’m grateful that Emilia shared her story now, and that she didn’t sooner. Also pleased she received great recognition from UK.. forgot name of ‘actor of year award’ it was, but glad she got it. Cate Blanchett was looking on with her typical face of disdain. But Emilia may not be the best actress, but she is our Kaleeshe and always will embody the Queen of dragons. Still can’t spell the GOT words! My thoughts exactly. 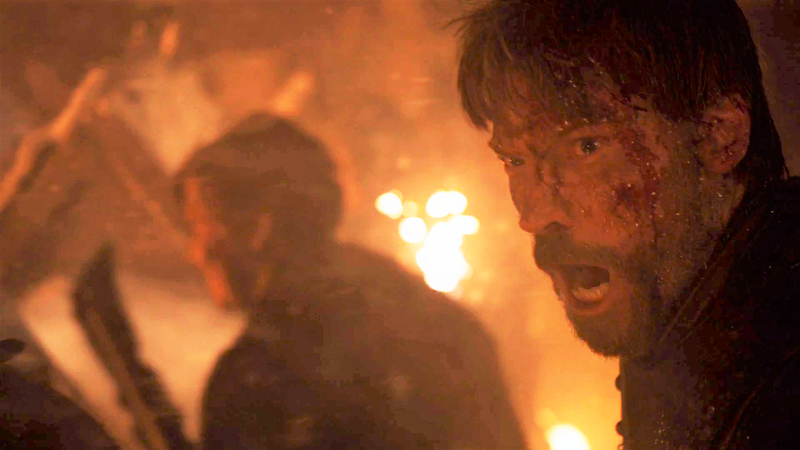 I just want that IT destroyed by the end of the show and ASOIAF. Drogon´s eyes are fire just like the Night´s King last season were ice. A song of Ice and Fire. 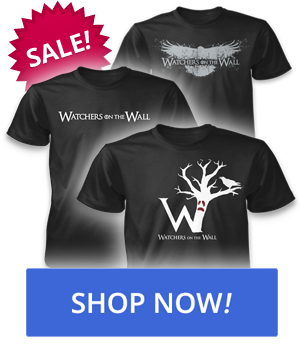 The unnatural threats to the people of Westeros as Martin´s said. It´s also a reminiscense of how the IT was made. By the force of dragonfire and by Balerion itself who melted the one thousand swords. The more they hype something, the less likely is gonna happen. And from a narrative standpoint. A Targaryen back on the IT means that we are back to square one in Aegon´s wheel. What a great lady Emilia Clarke is. To have gone through that terrible experience and continue playing her part as Dany through to the end of the series. That would take some doing for anyone with a medical condition like that and knowing at any time she could pass away on the set. She’s a brave girl for sure… The expression “The show must go on” really does apply to Emilia. A fighter in all respects. 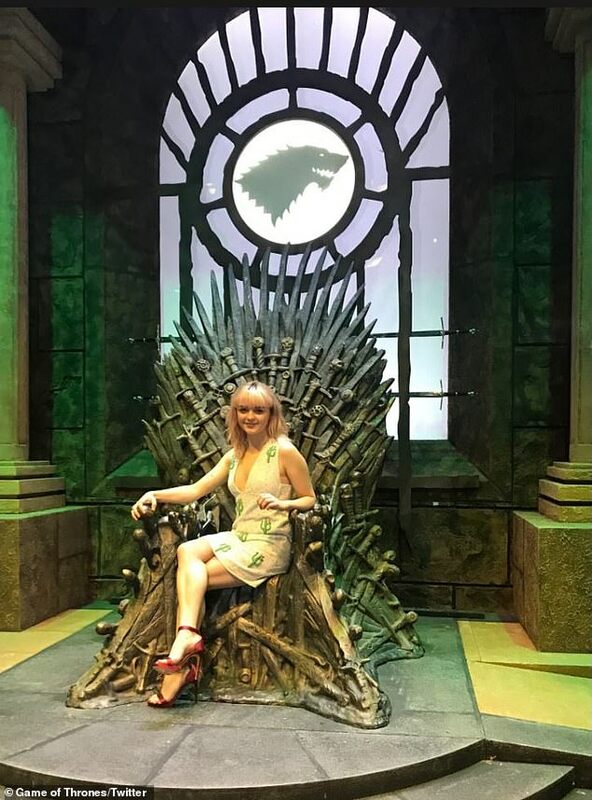 In real life as well as her character in GoT. Glad Pigeon to know that you were in that 5%. I almost died during a heart bypass op a few years ago. Life is so fragile so guess we were the lucky ones! And she also did Terminator Genesys and Solo. Actions movies. Thanks a million for that!!! Season 05 – Tyrion on the bow of the ship with the dragon in the forefront never fails to give me chills. 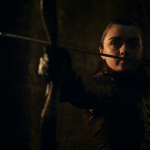 Season 04 – Arya’s there and she’s my girl! Plus, seeing the dead back (Ned! ), it’s a reminder that ANYTHING can happen on this show. 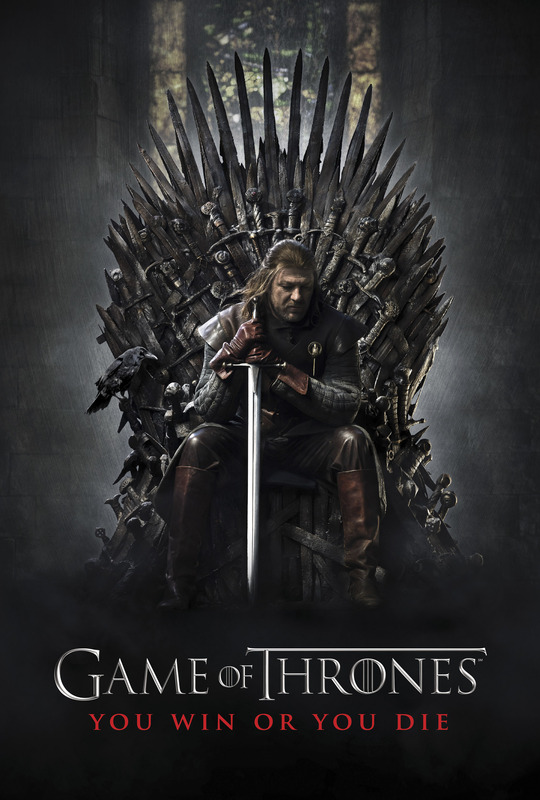 Season 01 – Ned on that throne, head bowed down, huge sword in his hand, but not battle-ready. It tells so much in a single image. Season 08 – Even if the execution didn’t quite get it right, it’s still an awesome image once you do see Drogon, and the close-up of the Iron Throne is great. 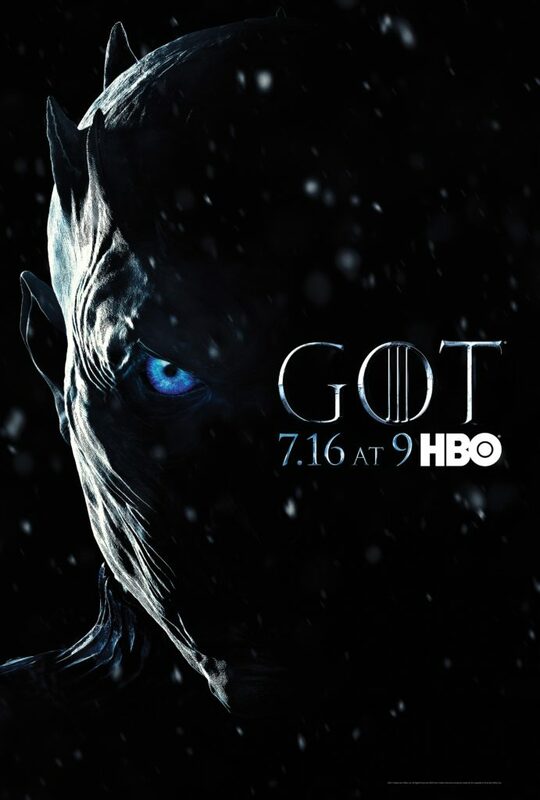 Season 07 – This season was all about winter finally being here and so the simplicity of the Night King staring out at all of us was brilliant. 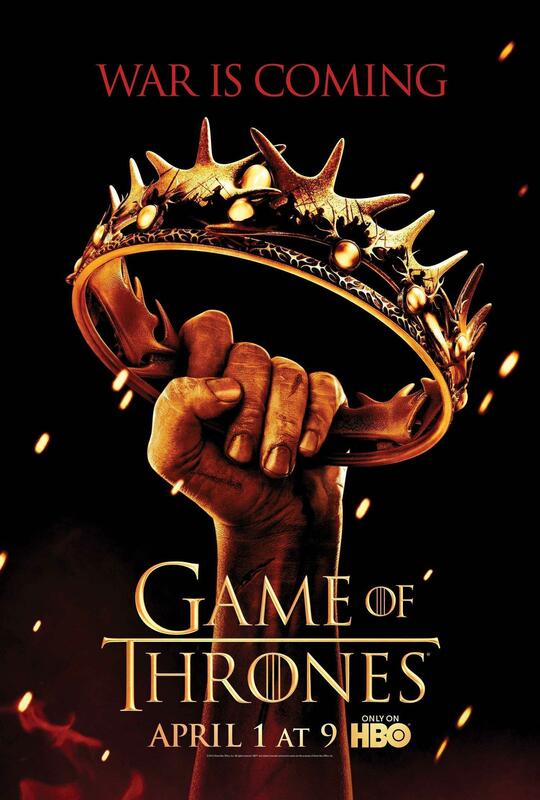 Season 02 – This season was all about the War of the 5 Kings so the red at the bottom of the poster, the hand reaching for crown (Robert’s crown at that point) perfectly encapsulated the major theme. 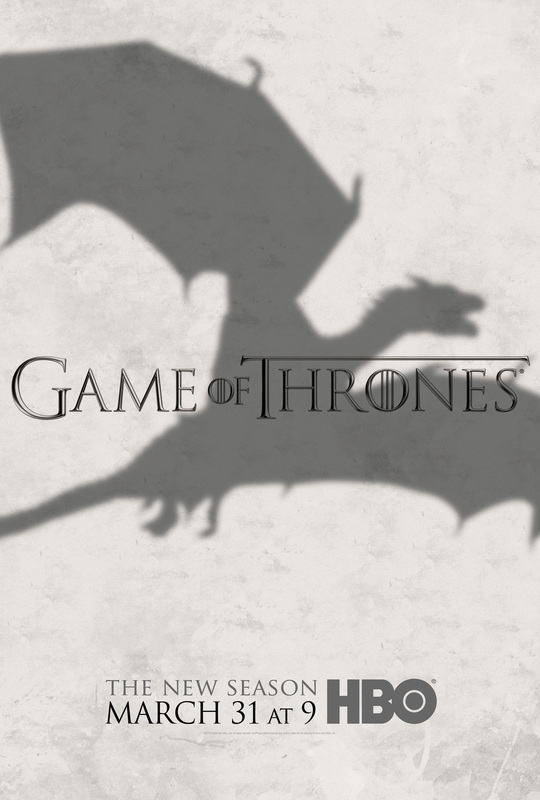 Season 03 – A silhouette of a dragon flying against a background? Really?! Yeah. Whoever was thinking up ideas for this poster was definitely asleep on the job. I thought the swords were significant but they’re actually the same ones from the Season 1 poster behind Ned. Although in the S1 poster, the sword to the left has a ruby on its pommel whereas this one doesn’t. I’m assuming that’s just so it doesn’t distract from the dragon eyes. Perfect! That should be the very last scene of S8e6 as the screen fades to black. I really like this season 8 poster. It’s awesome! It’s difficult for me to rank all of them, but the season 3 poster looks like something I’d do, and I’m about as far away from a graphic artist as you can get. I’m surprised a lot of people are saying they liked the S5 poster. I liked it myself, but I remember when they released it a lot of people were saying it looked cheap. Thank You, Pigeon, for the link. I’m totally scared. I know, what brain-aneurysm can do. Emilia is an incredible woman!!! Love it, kudos to the art team. Does anyone else have the impression when looking deep in Drogons right (his) eye it appears to be the burned out wall of the throne room. Wow, Emilia is a boss! Mad respect to her for sharing her story. The GoT logo is gold in the poster. Hasn’t it always been silver? They changed their twitter profile pic to the gold version too. Edit: All of them since Season 2 has the date and the “at 9” for the time but they dropped it for this one. I can’t believe that they managed to keep it quiet. I really fear for her – all that plus then losing her dad, who couldn’t have been much past middle age…she’s a trooper (trouper? Never get that right.) Hearing how she wanted to die at some points was a reminder that we never do see all the behind the scenes in people’s lives, often just the highlight reel. I think her new charity is much needed and I hope it gives people some education that they may not have considered before! Thank you guys for being happy I wasn’t in that 5% (lol), it’s quite daunting to have specialists with vast experience tell you that they cannot explain how you are even circulating blood and oxygen, never mind walked in to the ER. Refreshing though when they admit they don’t have an answer! Black Raven, I am very thankful things worked out for you too! Always listen to your instinct. I had very minor symptoms for weeks, but woke up that day truly understanding what people mean when they say “a sense of impending doom.” Sounds very dramatic, but it’s an actual thing. Who’da thunk it? I’d have to think about my ranking a bit, but I can firmly say that Season 6’s are my favorite because…there are more than one. x3 I like character-inclusive posters and putting everybody in the Hall of Faces was a great idea. Good observation; I agree and hope/expect that to be the case! I’m 100% sure that Mel has stuck around not to just be revenge-killed by someone like Davos or Arya or Gendry, but to be of some massive significance. PS: I too am glad you lived to hang out here and fangirl with the rest of us. Love season 1, 2 and 4. Meh on season 3 and 6. Hate season 5 and 7. This one is great as an idea but I dislike the styling of the “GOT” letters, like they’re stuck in between the spikes. For the posters, Season Five is tops for me with Season One coming in second. Anytime someone new sees a dragon for the first time is always a thrilling moment in the series, so that is why I defaulted to Season Five being my favorite. Season One comes in second because that’s where it all started and Ned…dear Ned. 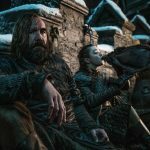 Shelle: I’m 100% sure that Mel has stuck around not to just be revenge-killed by someone like Davos or Arya or Gendry, but to be of some massive significance. Pretty much all 8 are dope, and yet another testament to the consistently high quality of every aspect of this show… it’s almost heeeeeere guyyyyyyssssssss!!!!!!!!11!!1! I’m so glad you listened to your body (far too often, people don’t) and are here to fangirl/fanboy with the rest of us. As for Emilia… yes, she truly is a trouper. Here’s hoping for many more healthy years for both of you. I often don’t get it right either. In general, I think “trouper” usually refers to an actor or other entertainer who’s reliable and uncomplaining. A Super Trouper* would sure be appropriate to describe Emilia Clarke being in the spotlight and always being so kind and upbeat all these years, without ever once playing the sympathy card. What a truly brave woman! “…When I’m on the stage tonight. “Shining like the sun” kind of describes Emilia Clarke, doesn’t it? Oops. I see you already explained the mnemonic device at 6:42 am. I didn’t see your comment before I posted mine a few minutes ago. So, that means Arya is a trouper in both ways. She’s been part of an acting troupe and she’s been a real trouper who’s overcome many obstacles. It really does all come down to ASNAWP, doesn’t it? I think I forgot these difference between the two (or never knew it?) so this reminder is useful. I have never heard of the Super Trouper lights before, not even in the damn song. I will hear that line the next time for sure. Mr Derp: It really does all come down to ASNAWP, doesn’t it? Ten Bears: Oops. I see you already explained the mnemonic device at 6:42 am.I didn’t see your comment before I posted mine a few minutes ago. Except I would never willingly have quoted Abba! I hate that saccharine bubblegum music with a passion, and if I’ve ever heard that song, I’ve blocked it out. In a Motley Crue palats behavioural mode atm. Netflix is killing it this month, GoT my fookin $$$ worth this and next month with The Dirt and Love, Death & Robots. 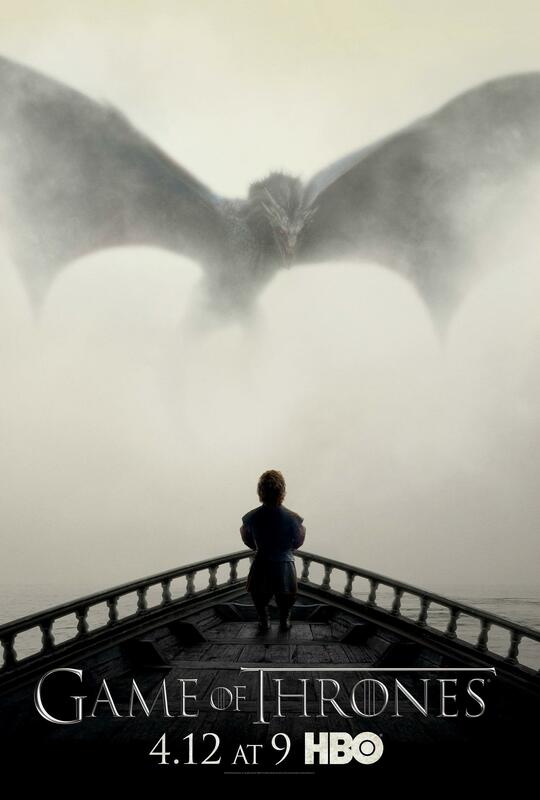 Love the awesome poster this to me symbolizes Drogon will melt down the throne. It’s poetic really, the Targaryen’s created the iron throne with dragon fire and one of the last targaryens will destroy the iron throne with dragon fire. How else could you possibly break The wheel if you don’t destroy The throne. she really is, I can’t believe she went through all that behind the scenes whilst filming, learning two new languages, all that traveling, promoting all while having a smile on her face. I mean I remember those videos from comic con and you never would of guessed that was going on but it does make sense now why she’s never gone back to comic con after that trying experience. What is wrong with people, Emilia is literally launching a charity and puts her personal story behind it and people all make it about hating a fictional character, absolutely disgusting. Not so sure about that. And speaking of the dragons, what’s Rhaegal’s fate in all of this? Why just Drogon melting the IT? HUGE SPOILER for those that did not read the recent book Fire and Blood!!! Balerion the Black Dread is Drogon’s grandfather. Woah… Just Woah… What’s with people today for God’s sake? The same level of disgusting as some comments about Sophie that I shan’t put. I don’t think the concept of “grandfather” exists with dragons. Wasn’t it insinuated in Fire & Blood that Drogon, Viserion and Rhaegal came from Dreamfyre’s stolen eggs? And I think in ACoK, a dothraki told Daenerys Drogon was Balerion born again, but she gave him a new name for his new life (that can be contested though). However, as I mentioned in my comment above, the IT was forged with dragonfire and I do think it will be destroyed by then end of the series. That’s my hope at least. 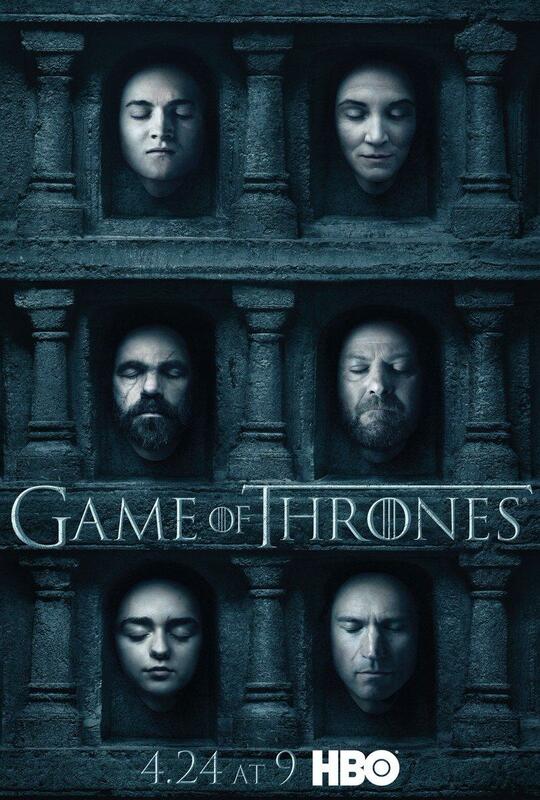 i see tyrion in the left side of the left eye face forward and face to the side and from buttom left up tyrion again. so three times tyrion (to me) appears in the draons eye. Cool poster. I doubt that the person or persons who made it have anymore insights into Season 8 than we have – HBO’s marketing department handles all of HBO’s products, after all – so I would not read much into it. However, I do find it amusing that I never noted the similarity between the Iron Thron and the cranium of a dragon. Yes. Who were Dreamfyre’s parents ? Isn’t it nice that Jon/Aegon is “the white wolf” but also “the black dragon” ? Drogon will burn, melt the throne. 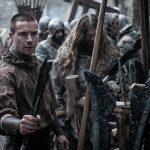 They will use de steel that will be forged by Gendry to fight against the walkers. It is known. It’s the IRON Throne, not the Valyrian steel throne. Aegon I made it from the swords of his conquered foes. Very, very few of them owned Valyrian steel blades, and those were far too valuable to melt down. I must say I’m not terribly excited by an official season poster but it’s generated 120+ comments which I’ll read through now. My only commentary is the two swords in the middle could those be oathkeeper and widows whale, i.e what is left of Neds sword? Do the handles give something away. With the red carpet premiere just over a week away now I could imagine we will know the first in a few days, the rest probably not for 2-3 weeks as they are clearly trying to keep everything under wraps this year.